I have been a dry cleaner for more than 25 years. During this time, I have seen and heard a lot of crazy things. However, there is one urban stain removal legend that stands out above the rest. This myth is so prevalent, it's been on the Oprah Show, is in countless YouTube videos, and numerous blogs. Hairspray will remove a stubborn ink stain. Unfortunately, I have seen many garments ruined by someone trying to use hairspray to remove ink. My wife's great aunt Betty even swears by this legend. So, I decided to put hairspray to the test. Let's find out how well hairspray works as compared to the professional ink removers and tools I use every day. 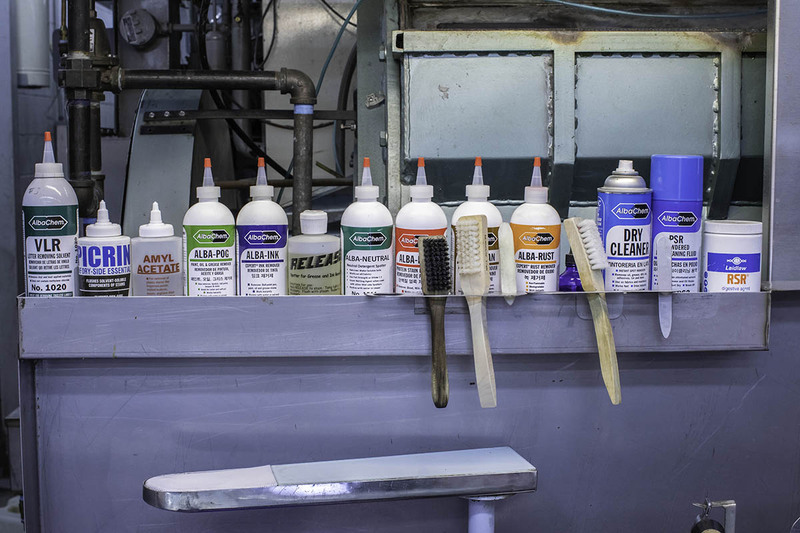 There are seven different ink formulas used to construct ink pens. Of these seven formulas, I can completely remove three. Two of the inks can be partially removed leaving a faint shadow. The last two ink formulas can only be removed with a pair of scissors. I joke, but there is really nothing else that can be done. For my test, I purchased eight different commonly used ink pens in three different colors each. Each brand was assigned a number from 1 – 8. 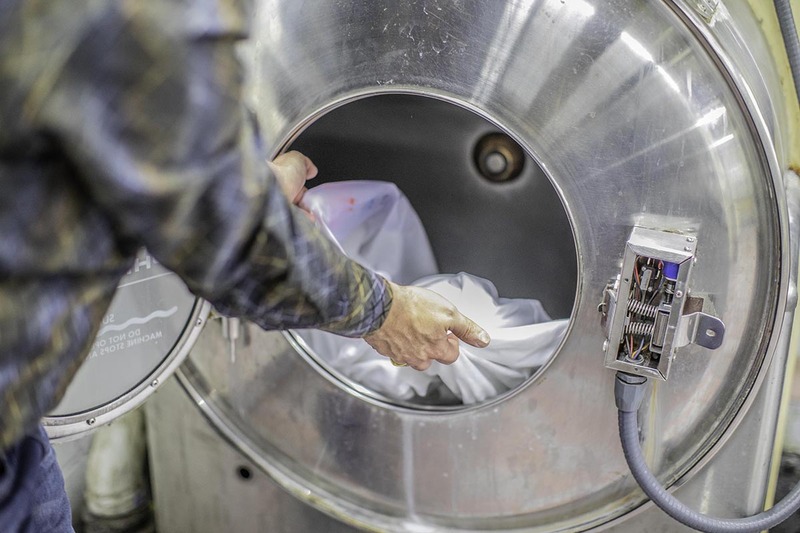 In the dry cleaning industry, there are multiple brands and formulations of ink removers. 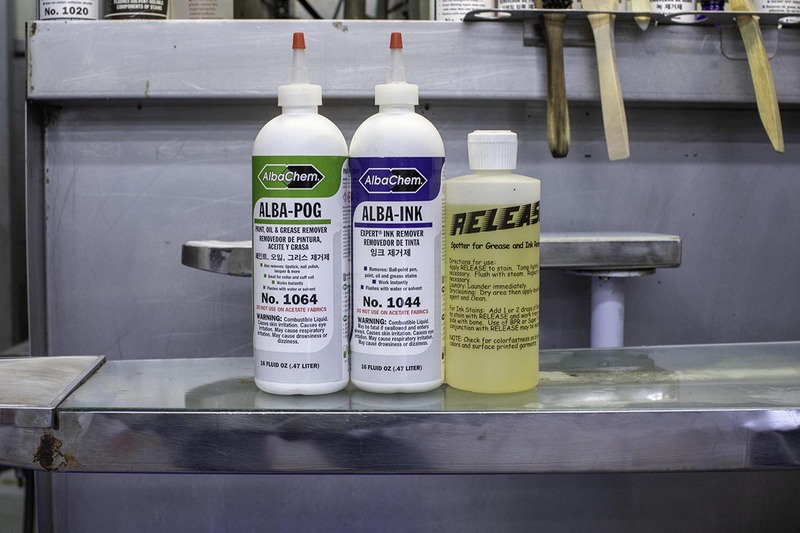 Our company uses P.O.G, Alba-Ink, and Release to remove most of the ink. The last trace of dye is typically removed using a very specialized type of bleach called Titanium Stripper. 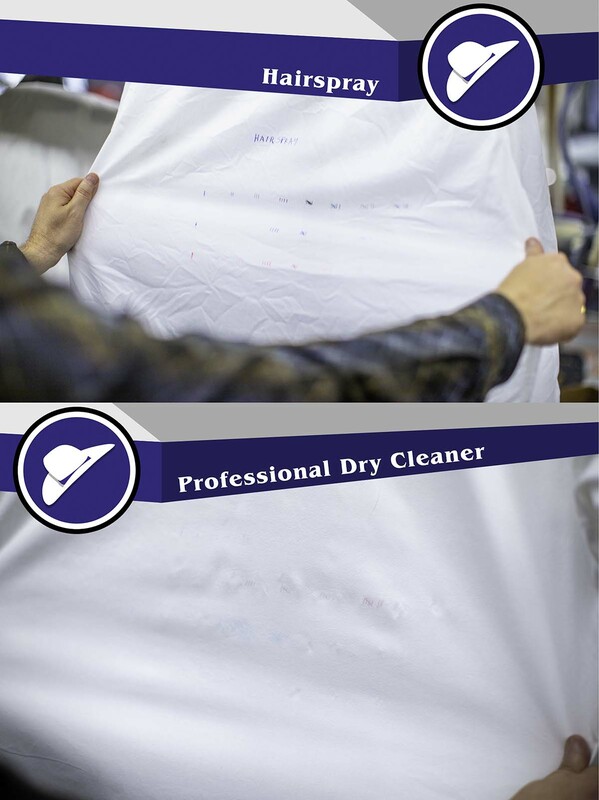 This last step is what separates a good dry cleaner, from a great dry cleaner! For comparison, I purchased seven different brands of hairspray each with a different formulation (pictured above). To simplify the experiment, I tested each hairspray separately to determine which one was the most effective. Aussie brand was the winner, and it is what I used for the remainder of our analysis. 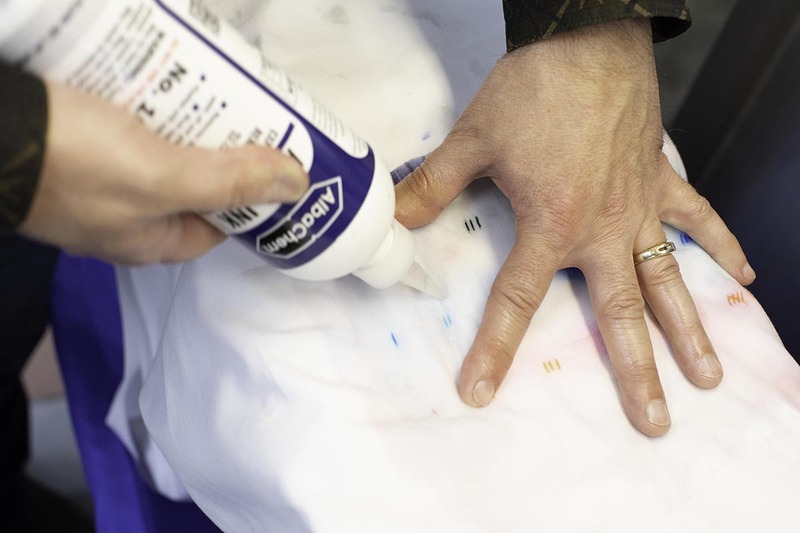 To test our different stain removal agents, I rounded up two identical white cotton shirts. I vigorously wrote tally marks representing each pen brand on both shirts in all three colors (Black, Blue and Red). 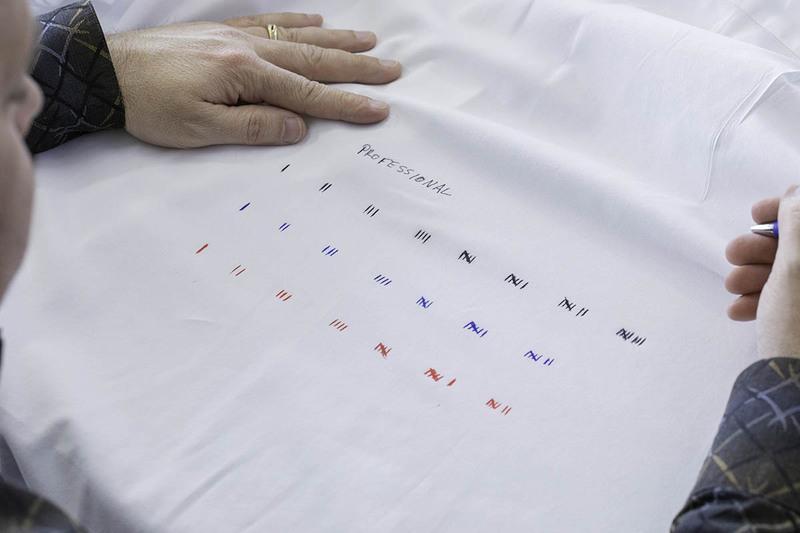 The ink was set using an iron to mimic the shirt having been washed and dried. To test the hairspray's performance, I sprayed one shirt with the Aussie hairspray. I avoided using any of my professional tools to best imitate what someone would be doing at home. On some of the ink, the hairspray began to attack the stain right away. You can begin to see the ink dye releasing from its binding agent and start to float on the shirt. I continued to work the ink with hairspray; spraying the hairspray onto the shirt and blotting with a plain white cotton towel. Finally, the shirt is washed to remove the hairspray and see what ink remains. It's important for me to point out, this plain white cotton dress shirt is very durable. It's construction and fabric type allow me to perform this experiment with few consequences. However, if I had used a garment made of a more delicate fiber or weave, the glue in the hairspray would cause irrevocable damage. While that shirt washes, its time to work the ink with my professional ink removing agents. I apply a combination of Release and Alba-Ink to the stains. This combination quickly begins to break down the binder that holds the ink dye together. Next, I gently "work the stain" using a bone spatula. This gentle motion works the ink removers into the fibers of the shirt to slowly breakup the ink. I continued this process until no more ink can be removed. 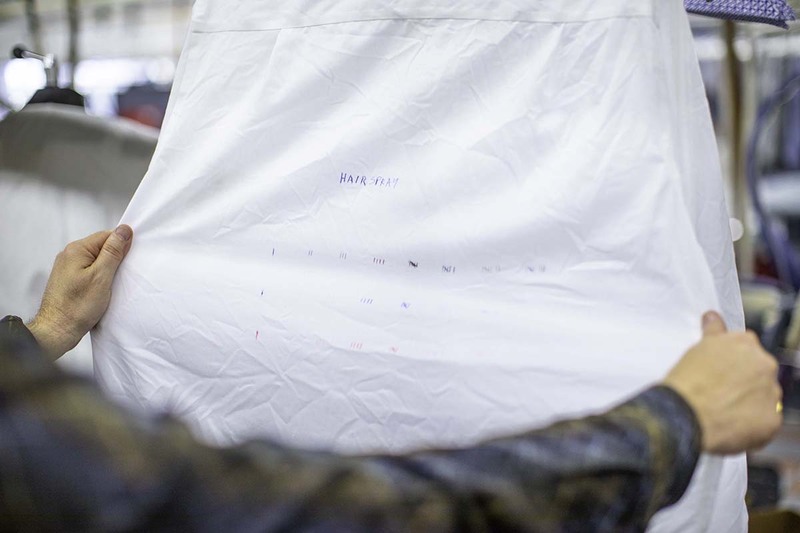 The shirt is then "flushed" with steam to force the remaining ink out of the shirt and to remove the spotting agents. At this point, all the ink has been removed and only a shadow of die remains. 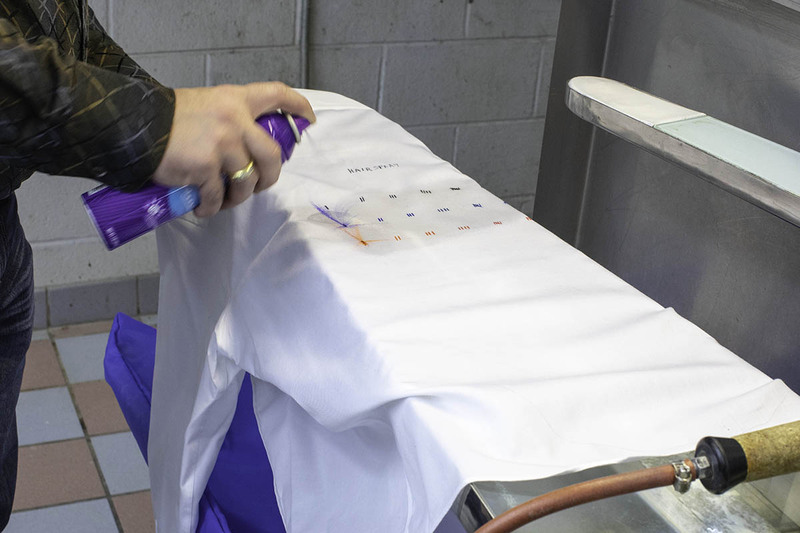 To remove the last trace of dye, the shirt must be bleached. Now, the bleach I am using is NOT Clorox. 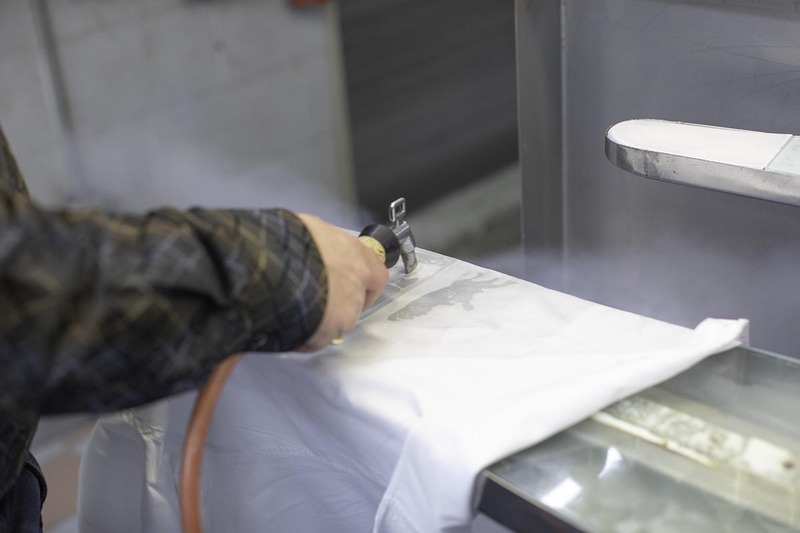 Without boring you, there are six different types of bleaches available to a professional dry cleaner. Some bleaches add oxygen to a stain, while others remove oxygen. This process actually changes the color of the "stain" or, in our case, the dye. If done properly, the last trace of the ink will not be visible to the human eye. After a quick wash, I will be able to compare the results of our little experiment. I can't wait to see how hairspray performs as compared to professional ink removers. Wow! The results are actually very surprising to me! The hairspray outperformed my expectations in a big way. The hairspray lightened four of the ink pens to varying degrees. One ink was almost completely removed. The other three inks were essentially unaffected by the hairspray. Check out the detailed results for hairspray below. 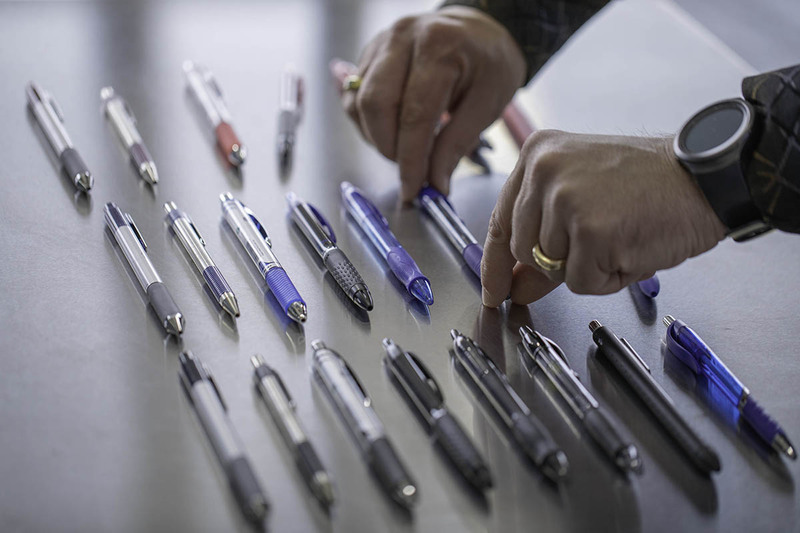 As expected, my professional ink removers successfully removed 16 of the 22 different pens and colors tested. There is absolutely no comparison between using hairspray at home or letting a professional handle your tough ink stain. 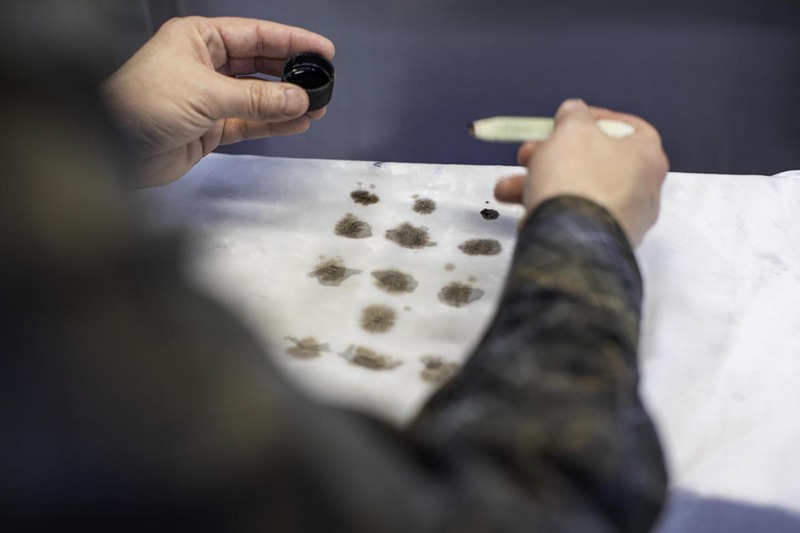 Check out the detailed results for our professional ink removers below. While it appears hairspray can remove some ink, it just can not compete with professional spotting agents specifically designed for the job. So, what is the science behind hairsprays having some success in removing ink? In my test, I found one common thread with the hairsprays that worked. Hydrofluorocarbon 152A also known as C2H4F2 and R-152a. Hydrofluorocarbon 152A is the chemical that propels the hairspray out of the can and onto your hair. 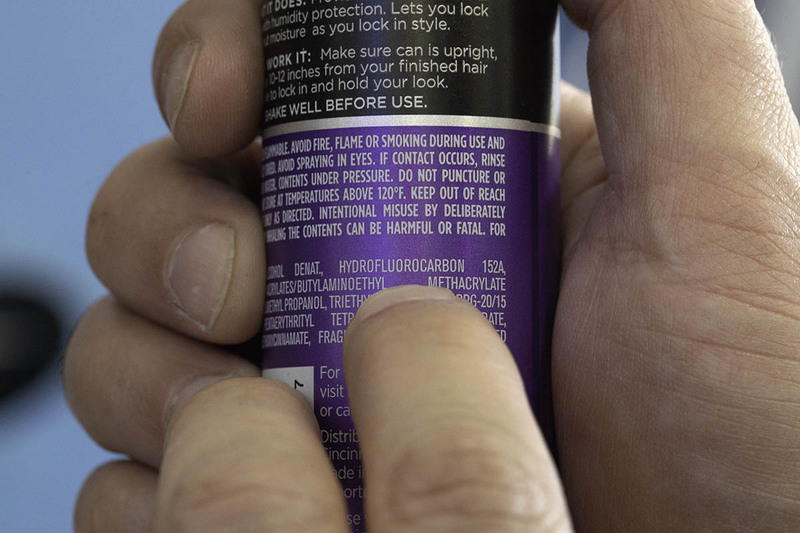 The brands of hairspray containing Hydrofluorocarbon 152A are successful in removing some of the ink. 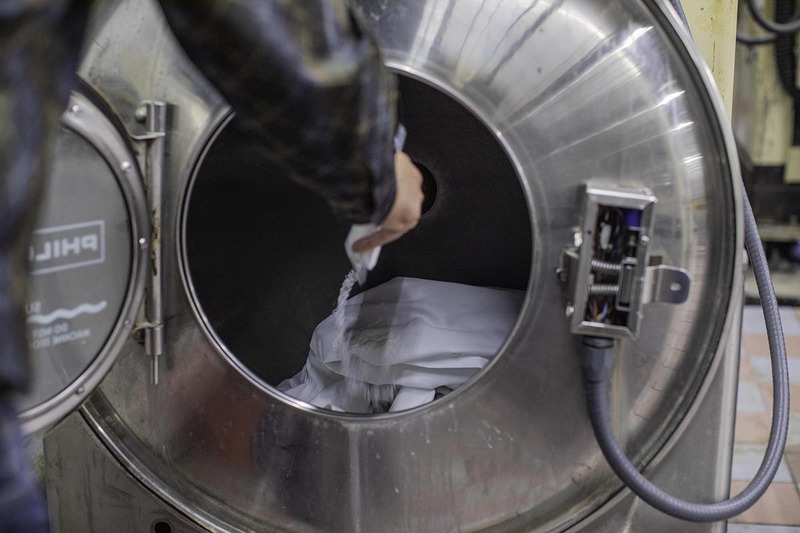 Here is the reason why: Hydrofluorocarbon is in the same family as the hydrocarbon solvents used by many dry cleaners to clean your clothes. Hydrocarbon solvents by their very nature have the ability to break down the binders used to make ink. 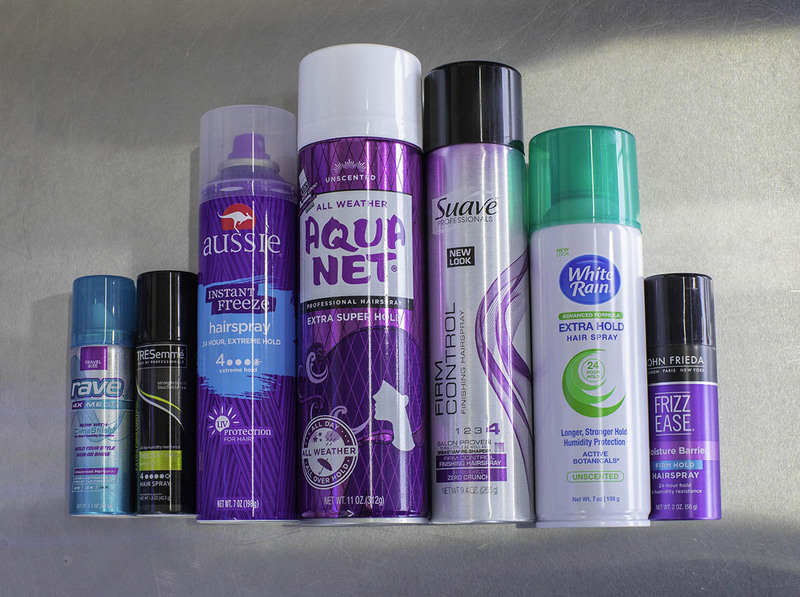 While the chemical found in hairspray is similar, and thus has similar results, it has one big problem…. the hairspray. After the Hydrofluorocarbon 152A has evaporated out of the garment, it leaves behind a big sticky mess of glue. This water based glue is meant to hold up someone's hair for a big event, not stuck on your clothes. Depending on the fabric, the glue left behind can have devastating results. I have seen irreversible color loss and even a permanent nasty grey ring surrounding the ink spot. Once this type of damage has occurred, it cannot be reversed. The bottom line, when it comes to the War on Ink, it's best left to a professional with the proper tools to win the battle. 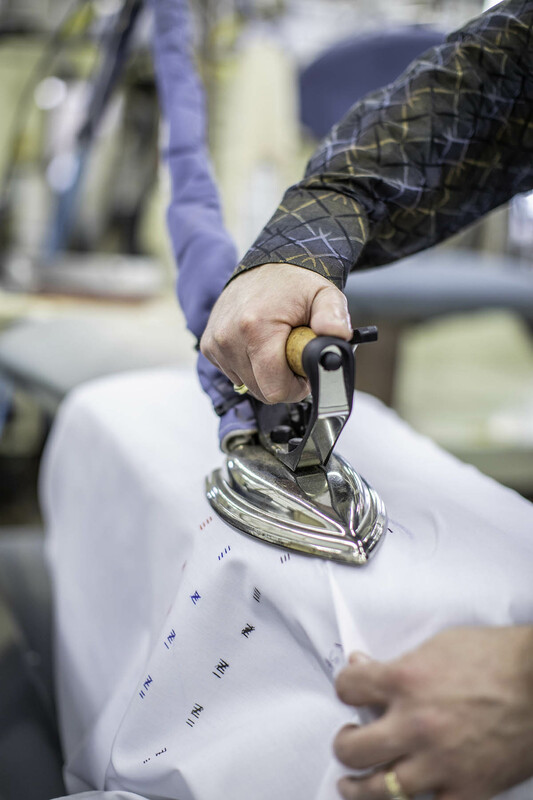 With the proper care, your garment will live on to be worn another day. Bill Rothrock owns and manages the Yale Cleaners’ Owasso branch. In 1992 the International Drycleaners Congress selected Bill to spend 6 weeks training abroad in Australia and England. He graduated 1st in his class from The Drycleaning and Laundry Institute formerly The International Fabricare Institute. Bill is a Certified Professional Drycleaner (CPD), Certified Professional Wetcleaner (CPW), and a Certified Environmental Drycleaner (CED). 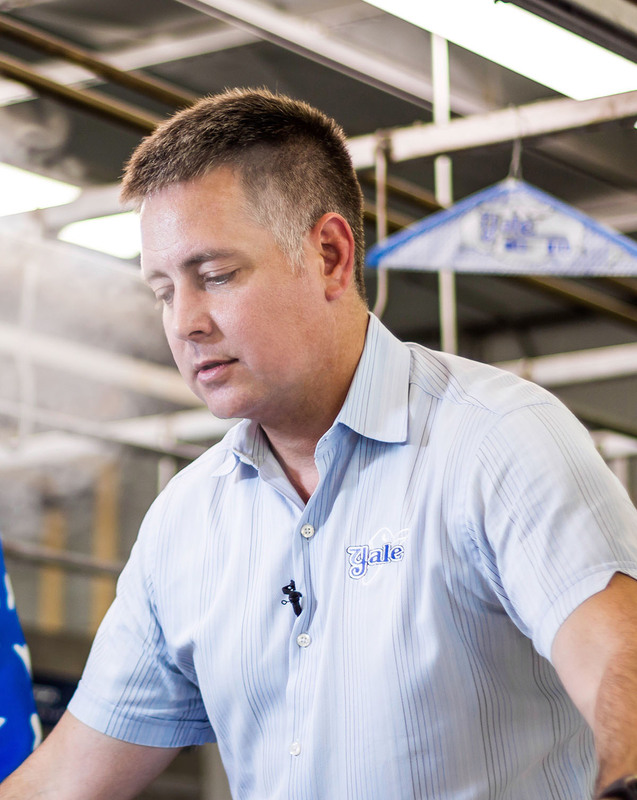 Having all three of these certifications makes him a Certified Garment Care Professional (CGCP), a distinction held by few people in the dry cleaning industry .